No matter what industry you’re in, sales is a competitive market. You’ve got to convince the customer of your belief in your service. How do you show them that you’re the best people to come to? 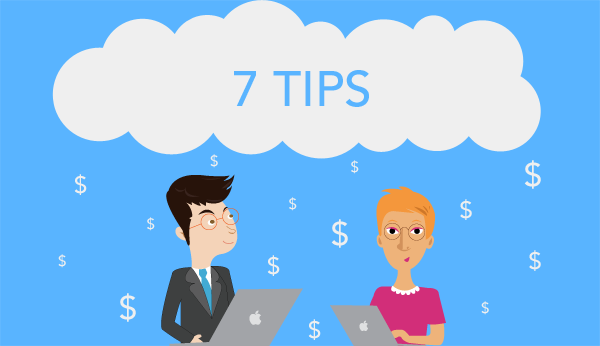 These tips will help you get the most out of your work, and win those customers. The hardest thing to understand as a sales person is that no one really cares about the service you provide. That sounds dispiriting, but what you have to realize is what customers care about is the solution you provide. That means that you need to change your focus. What can you do to make your customers’ lives easier? What is it you do that can do that? “Customers aren’t going to listen if you show that you don’t know anything about them” says marketing manager Annette Ferguson at Top Canadian Writers. “Do your research before you get in touch with them. For example, find the name of the right person to speak to at the organisation you’re targeting.” Doing this shows you’ve done your research, and actually know something about your customer. They’ll be much more willing to listen. A lot of your communication with potential and current clients will be through the written word. That means that you need to pay special attention to how you talk to them through these methods. After all, a lot of communication, such as body language, is lost this way. If you want to look at improving your communication this way, try using tools such as Grade On Fire and Revieweal. They’ll help you compose messages, and proofread the ones you have so they’re giving off the right impression. Many customers are trained to ignore voicemails, as cold calls can often offer them nothing of note. You can use voicemail, though, if you’re already in contact with that customer. If you call early in the morning, when the customer is away from their desk, then you can set up contact for the day. It’s all about reminding the customer that you’re there, and you’re willing to keep in touch with them. Imagine two computer repair stores. They can both do the same repair on your computer, to the same level of satisfaction. However, one has a desk clerk who’s impersonal and rude, while the other is friendly and welcoming. Who do you go to? Exactly. Many customers will choose to buy from you because you’re personable and willing to help. Consider the image you’re presenting when you’re talking to prospective new clients. Finally, here’s a tip that’s easy to carry out but has a lot of value. When you hand out a business card, take the time to jot down an extra phone number, or other useful piece of information on it that’s not already there. It’s a quick act, but it can make the person feel special. Put these tips to use when you’re at work, and you’ll see that the smallest of actions can make a big difference to your customers. Making these changes can nudge you over into getting the sale, every time. Jennifer Scott works as online editor at Best Australian Writers. Also, she is a business developer that works in different areas of education, technology, security and various types of online marketing. Prior to business developing Jennifer was a consultant at Deloitte, and managed security services provider and developer of a wide range of security solutions.